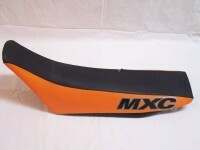 This seat came off a 2001 KTM 200 MXC. It has a tear on top, but other than that is in good condition. 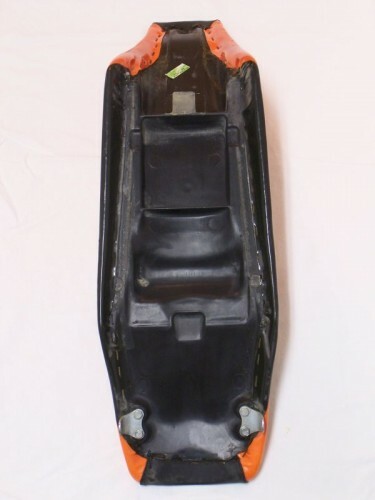 Seat pan is in good shape and brackets are in perfect condition. 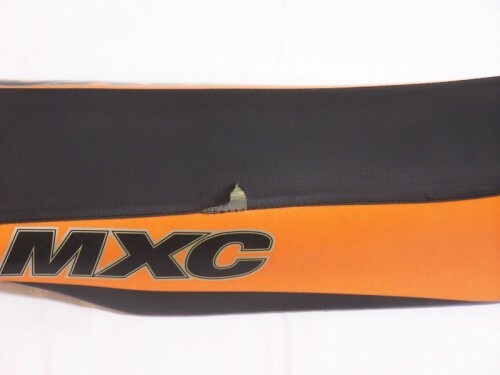 It will fit most KTMs from around that year, but you should definately check with a dealer or a bike shop. Price: $25.00 or best offer.